Welcome to the wide and wonderful world of emergency preparedness! In the next five sections we’re going to walk through all things related to getting prepared, from the basics to the nitty-gritty. If you have any questions regarding the things you read, please feel free to call or email our team – we’re always happy to help! And who knows? We might get to learn something new too. Water, food, shelter, light, heat, communication, first aid, and sanitation comprise the eight areas of preparedness that make up the backbone of our preparedness strategy. Having ample supplies in each of these areas will exponentially increase your chances of riding out any disaster in relative safety and comfort.Depending on what kind of emergencies you are preparing for your kit may vary, however, every survival stash should have at least one thing to cover these eight areas. Purchasing a prebuilt, professionally compiled kit is the simplest way to cover these basic human needs.If you prefer the flexibility and choice of building your own kit, simply work your way through the eight areas. We even have a helpful guide to make sure your kit checks all the right boxes. Remember to keep an eye on shelf-lives, storage temperatures, and food preparation requirements as these can be early stumbling blocks for those new to preparedness. Eight whole areas and that’s only the beginning? We know! It can be overwhelming. If you’re feeling your eyes taking on a deer-in-the-headlights quality know that you’re not alone. But worry not! There are lots of ways to break kit-building and preparedness down into bite-sized, manageable chunks.The easiest way we’ve found is to tackle each area of preparedness one at a time, and spread them out over a few days, weeks, or even months. This can also help ease the financial aspects of getting your perfect survival kit tailored to your needs. Check out our simple 20 week plan here. How long your survival kit should last you in an emergency will depend on the risks for your area. In general, longer is better, but most regions recommend a minimum of 72 hours of preparedness.If you’re in an area prone to major disasters or a rural area where help might take longer to arrive, one to two weeks should be your minimum target. If preparing for a longer wait, consider including a bug-out bag with the bulk of your supplies in case a quick evacuation is necessary. This is especially relevant if forest fires are a danger to your home.Those living along the fault lines of the west, or in the storm-prone towns and cities to the east should aim to prepare for 1-2 weeks of self-sufficiency. Consider preparing for longer if you have pets or family members with special needs or considerations too as it may take time to get specialized assistance. As a rule of thumb the longevity of a kit can be gauged by the amount of food and water inside. For short term kits (up to 72 hours) a kit can get by with less than the below recommended minimums, but those will be purely for survival, not comfort.Pack 4 liters of water per person for each day you would like your kit to last, or the tools to purify/filter that much from a nearby source. Even if most of your planned water supply will be treated/filtered pack some stored water too – just in case.For food, aim to have at least 1200 calories of food per person per day. Ideally, aim for closer to 1800-2200 calories, especially as your body will be stressed which will increase the calories you burn. Be sure your supplies include plenty of protein, vitamins, and minerals.Outside of food and water, longevity will mostly depend on the quality of your gear, not the quantity. A disposable sleeping bag is not likely to last for more than 72 hours, but a HeatStore one would last for weeks. Keep durability in mind when considering your timeline. “Two is one and one is none” is an expression that can be commonly heard throughout our local workshops and store front. It serves as a good reminder to have backups for items in your kit, and back ups for your back ups.The next step after setting up a basic emergency kit is to diversify it. You’ve got matches, that’s great! But maybe it’s time to add a lighter or flint and steel in case the matches go missing or get wet. Likewise, MREs make great back ups for freeze dried food and vice versa.Try to identify the areas of your kit that are most likely to get damaged or become difficult to use in an emergency and start adding other sorts of items to cover that niche. Best case scenario you have extra supplies and are able to help others, have leftovers, or have stores for longer than anticipated. Once your basic kit is established it is also a good time to take any special needs or pets into consideration. Consider packing extra medication, a non-electric, lightweight wheelchair, or items to help those who would otherwise struggle to eat, drink, or relieve themselves into your kit.We have a great resource here on how to prepare for pets, as well as specially designed small dog and cat survival kits. Average canned pet food will stay good for two years, however packaging dry kibble in mylar bags with oxygen absorbers can extend the life of dry food from 1 year to 5. 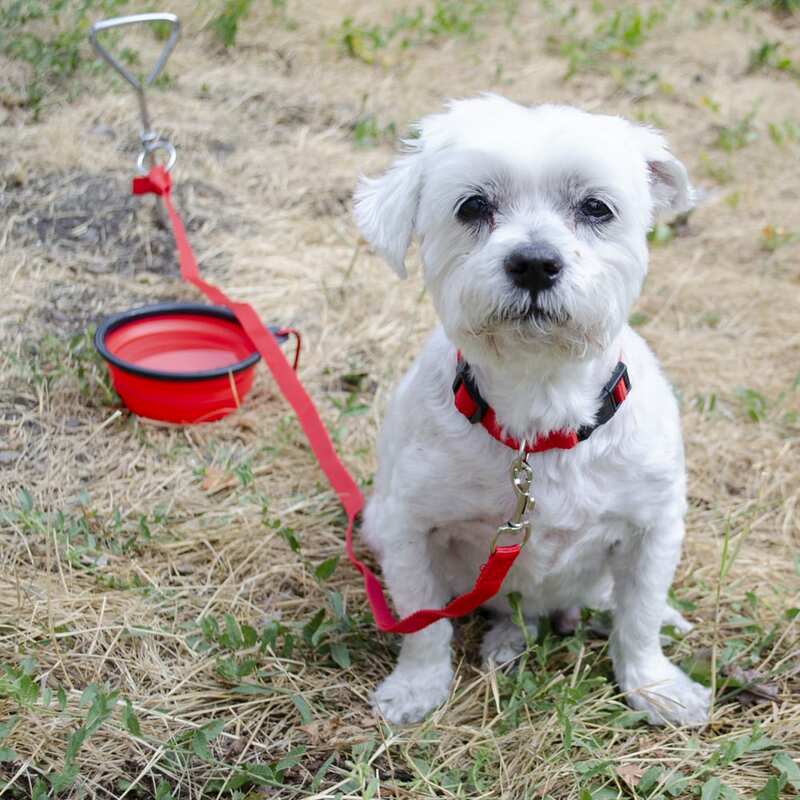 Don’t forget leashes, carriers, and tie outs – even if your pet is usually trusted to roam free. Disasters can make anyone skittish, even trusty old Fido. Whether due to recognition, modern food manufacturing techniques, or an over-saturation of certain products, the increase in those living with severe sensitivities and allergies are undeniable. For those that become overwhelmingly ill, incapacitated, or dead when exposed to certain foods (dairy, nuts, and gluten being the foremost) emergency preparedness is a more daunting task than normal.Outside of packing an extra epi-pen into your kit, there are lots of things people with sensitivities and allergies can do to ensure their safety is accounted for in their emergency supplies. Total Prepare offers gluten free, nut free, and even dairy free options with long shelf lives that don’t skimp on flavour.For those with a medley of sensitivities that make finding long term options next to impossible, we have you covered too! Using mylar bags and oxygen absorbers you can make your own meals at home with ingredients you know you can trust and extend their shelf lives exponentially. **Please note that this kind of food storage is best with food that has little to no moisture. Dried meats, fruits and veggies, pastas, lentils, white rice (not brown), and oats work well. Once you have a good basic kit, it’s time to hit the books! A kit isn’t going to do you much good if you don’t know what to do with it, or how to behave in a disaster. It’s important to consider threats to your geographic area, as well as brushing up on your municipal and provincial resources and meeting places.Below we’ll outline some basic strategies for enduring common disasters. For additional information or threats by province check out getprepared.gc.ca. Living on the west coast of Canada, the idea of a large earthquake makes our hearts pound. The province of BC has annual drills (Shake Out BC) for people to practice orderly evacuations, reunification, and finding a secure place to wait out a quake.Drop, Cover, and Hold On is the go-to method for staying as safe as possible during an earthquake. Drop beneath something secure, Cover the back of your neck with a hand, and Hold On to your cover so it doesn’t move too far without you.Once the shaking stops it is recommended that you count to 60 in case there’s an aftershock following closely on the heels of the initial earthquake. 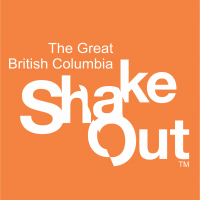 If one does come, restart your count until you can get all the way to 60 without being interrupted.For information on how to deal with an earthquake while driving, outdoors, or as a business owner, check out Shake Out BC’s Fact Sheets here. After an earthquake, coastal areas can be at risk for tsunamis, giant waves triggered by the shaking. While historical tsunamis in BC have been smaller, between 1 and 5 metres high, the tallest international tsunami on record was 525 metres tall and struck Lituya Bay, Alaska in 1958. It is known as a megatsunami.If you are near the ocean after an earthquake, play it safe and head uphill and inland. Aim to be at least 7 metres above sea level, but don’t stop there. Especially not to take pictures. Just trust us on this one. If your neighbourhood has a pre-identified safe area, go there.If you haven’t felt an earthquake but notice the water level drop dramatically don’t stop to investigate. This is often a warning sign of an impending tsunami and you will have mere minutes to get to safety. Devastating waves can be triggered by earthquakes deep underground, or far out in the ocean, that may go unfelt.For more information on how to recognize and respond to a tsunami click here. Fire prevention methods are the safest ways to avoid a loss of life or property in a house or wild fire. This includes being careful to extinguish fires properly, not burning anything during fire bans, and keeping fire alarms up to date – and turned on. With the batteries in. Even if it blares whenever you make toast.If caught in a house fire, keep low to the ground on your hands and knees to stay under the smoke. Keep a light and sturdy pair of shoes under/beside your bed to help you avoid broken glass, or if you’re barefoot slide your hands and knees to avoid landing on glass with your full weight.If you are trapped in a room with fire barring your path, line the bottom of the door with a wet towel if possible. Call 9-1-1 and signal from a window by flashing a flashlight or waving a coloured cloth.Use the back of your hand to test doorknobs before opening a door. If they’re warm/hot don’t open the door, find another exit. This is where having pre-planned escape routes really helps. Once you’re out of the house, close the door or window you came through to minimize the air reaching the fire, then call 911 if someone hasn’t already.Do not re-enter the building for any reason, trust that fire fighters will be able to help if it is safe to do so. This is a good time to check on neighbours and family members, or to have injuries treated by a medical professional. If you live near a wildfire zone, stay tuned into your local news, twitter, or radio to stay up to date on current fires and evacuation orders. The Canadian Wildland Fire Information System reports detailed information about wildfires across the country. If you receive an evacuation order, or evacuation is suggested, don’t argue, just go. This is where having a grab and go kit comes in handy!Suspect that you are in the path of a wildfire, but no evacuation orders have been given? Remove flammable drapes, curtains, and other window coverings from your home and if water is available, wet the roof and any waterproof valuables.Keep all doors and windows in your home closed and keep lights on to increase visibility if the home fills with smoke. If you can see fire, get out! Don’t wait for an evacuation order. It may be a new fire that officials are still learning about, or you may be tuned into a report from a different area. Use your common sense. If you live in a flood zone or a flood is forecasted for your area there’s a lot you can do to minimize damage to your property. Install weather protection around the lowest levels of your home and consider acquiring a sump pump and zero reverse flow valves in basement floor drains.Don’t keep important papers and belongings in the basement during flood weather. Move family photos and insurance documents etc. into the attic or to an upper level. If you keep outside animals design their space to allow them some high ground to retreat to.Take special care to protect electrical, propane, and natural gas equipment outside your home or in the lower levels. Turn off any basement furnaces and your outside gas valve (if your local/gas company regulations allow it).During a flood stay tuned in to local radio or news for information on affected areas, safe roads, and evacuation notices. Keep your emergency kit close at hand and in a waterproof container in case you need to get out quickly.Avoid bridges and flooded areas if you’re on the move. Water can be deeper than it looks, and even strong swimmers have been swept away on unexpected currents.More information on floods here. First thing’s first: if you or someone you love (or even just tolerate) uses essential medical equipment that requires electricity, invest in a generator. “Battery remaining 0%” might sound like an interesting epithet, but it’s just not worth it.Keep flashlights and radios somewhere accessible, and be sure to have extra batteries, or crank/solar options available. If you opt for a candle lit ambiance, be sure to keep your flames contained and your flammable items separate. In case of a long-term outage, keep a non-electric stove handy too for use outdoors. Indoor use of these heat sources can result in carbon monoxide poisoning, so be careful!During an outage check to see if your neighbours have power. If the whole street is dark then you know you haven’t blown a fuse. If your neighbours are out of power too, or if you see service wires on the ground, notify your utility provider. If the wires are down, stay at least 10 meters back.Turn off all your electronics and lower the thermostat to protect against the power surge that will occur when electricity is restored. Leave one light on, inside and outside, so you and power crews know when your power is back on.If you can help it, don’t open your fridge or freezer. Sealed it will insulate your food, keeping things cold for up to 36 hours. Find more info on power outages here! No matter the emergency there are a handful of tips that you can apply. For the most part, it comes down to using common sense and planning to minimize damage and uncertainty. Research threats and think through how you would react to each. Create escape routes and drills where applicable. Keep in touch with authorities and news outlets, they’ll let you know best practices for emergencies in your area. Keep shoes and a light under your bed. If you need to move fast, especially through broken glass, you’ll be grateful. If you sleep all natural, add some clothes or PJs to the pile! Keep a well supplied kit on hand, you never know when you might need it. Never slow down to film or take pictures of an emergency until you are 100% safe. You are more important than your Instagram account. Once you have the basics, and maybe even some spares, it’s time to bulk up! And no, we’re not talking about hitting the gym. In this step we recommend adding kits to the places you spend the most time and considering comfort items for your kit if you haven’t already. We also discuss preparing for unexpected (or completely predictable) visitors. Your home is the #1 most important place to have a kit and set preparedness plans in place, but it’s not the only one. Anywhere you spend a lot of time deserves its own kit, or a plan to have supplies and evacuation routes in easy reach.Places like your vehicle, office, and/or school are ideal to store a few extra supplies. Pack a go-bag with enough supplies to last you the walk home (assume that the roads are congested or unusable.) Be sure to keep a good pair of walking shoes in your trunk or under your desk if you tend to wear high heels or other non-hiking footwear.You can specialize each kit too, for example, adding things like booster cables and a paper road map to your car kit. Back in your home kit, consider adding some items for the comfort and entertainment of you and your family. If it’s not safe to go in your home and you’re stuck camping in the yard for a week or more you’ll be grateful for even a simple deck of cards. Books, extra clothes, chargers, compact board games, or a stuffed toy can be a huge boost to morale after a disaster.If your planning to Shelter in Place, consider a generator to power your laptops, phones, and maybe even a mini-fridge. Solar options ensure you won’t have to worry about storing gasoline safely, or the extra noise and stink of traditional gas-powered units. Apart from hermits, most people will find they have guests in the house every now and again. Whether it’s friends, relatives, in-laws, exchange students, or the pizza delivery person there’s a chance you could wind up with an extra mouth to feed in an emergency.If you know that your neighbours, tenants, or landlords are not prepared, encourage them to act. This is for their own sakes, and for the longevity of your supplies. It can be hard to say no to a hungry neighbour.It is usually worth it to add some additional food and water to your stores in case those around you are unprepared or cannot reach their supplies. Even if no one comes to you for help, being able to remain self-sufficient for that little bit longer won’t hurt. We cannot stress enough how important it is to communicate. Talk with neighbours, family, kids, block watch, coworkers, PACs, and anyone and everyone else. Start meaningful conversations on preparedness and encourage those around you to prepare. Discuss community plans, meeting places, and create a buddy system for your neighbourhood to take care of one another.Learn what skills are at hand in your community. Does George down the road have a well and a hand pump? Maybe too-young-to-be-a-doctor Kelly has two medical PHDs and is happy to be the go-to first aid station for anyone who gets hurt. You might be surprised! Did you know that knowledge has a half-life? As time flows and the world continues to develop new strategies and techniques the things we learned stop being true. For example, in the 90’s the CD was the most efficient way to store data. Looking back from the present we know that is no longer true.To stay up to date and current on emergency preparedness, and to make sure your information is still accurate, participate in local workshops, subscribe to emergency preparedness podcasts, and check out our e-newsletter (sign up below! )If you want immediate updates for local emergencies register your smart phone with Alert Ready. They send out instant notifications to warn of fires, earthquakes, tsunamis, storms, and human-caused disasters. You can check them out here. Talking to your neighbours is great, but don’t forget to speak to kids, spouses, and anyone else in your household. Let them know where the emergency supplies are and go through the kits together, making sure that everyone knows what each item is and how to use it.Practice emergency drills as well, so everyone moves like a well-oiled machine in the event of a disaster. You’d be amazed how much easier it is to fight panic if you’ve already practiced the motions! If you need a physical reminder of when to check your kits and go through drills, try coinciding these events with daylight savings time.Thank you for reading! If you have any questions or would like to discuss your preparedness with an expert, please don’t hesitate to chat with us. We can be reached at 1-888-832-1733, or [email protected].